The renewable energy technologies market is growing exponentially, and advances in wind turbine technologyrepresent a large proportion of this growth. Research suggests that in the future wind energy will be the most cost-effective source of electrical power. However, the effects of the growth of the wind turbine sector are being felt already, with UK wind power generating enough power for 2.4 million homes in 2011. It is estimated that by 2020 this figure will rise to 7.7 million homes. Advances in turbine technology are also leading to greatly improved system performances and efficiencies and lower component costs, which means that wind energy is emerging as a genuine competitor to more established but harmful energy sources such as gas and coal. 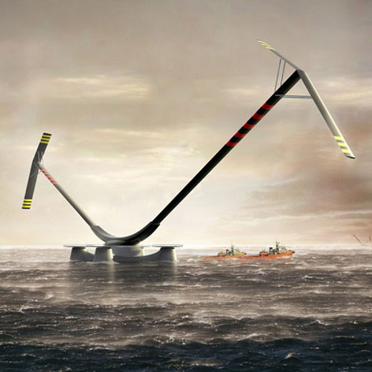 Scientists are also working to build wind turbines which can continue to generate electricity even in extremely high winds (at present turbines must shut down in storms in order to avoid causing damage to the mechanism). Conversely, turbines which can function at very low wind speeds are currently in development, meaning that urban and suburban sites may become more suitable for the generation of wind energy.